So, you have made up your mind, you are going to get your priorities straight and start living a more healthier life style for yourself! Awesome, and good job for you! The only problem is you are FREAKED OUT OF YOUR MIND about joining a new gym and the thought of working out alone makes you want to hyperventilate!!!! This scary fear is really pulling you down and keeping you from pushing through and taking the plunge into progress of a firmer, leaner, slimmer, healthier body! I promise you are not alone in this fear! It is a very common fear to have because there are millions of women and men out there that are afraid to work out alone in a new Gym. Let’s face it all those machines, dumb bells, bars, plates, bands, balls, benches, ellipticals, treadmills, row machines, and don’t forget all the buff people, are just flat out intimidating! They are afraid they are going to look stupid trying something they are not completely confident is the correct technical way or form. They are super self conscious of their bodies and feel like they will be judged and made fun of by all the “professional gym rats” that pretty much should just take up residence there. If this is you and you are really struggling with this let me give you some tips to help bust down that wall of Fear! 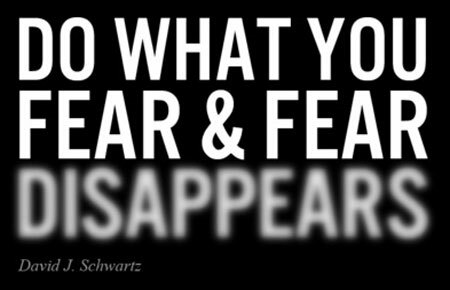 First thing is first take a DEEP Breath and read on to discover my tips on how to Conquer your Gym Fear! Recruit a friend! Everyone really needs an accountability partner and a little healthy competition. She or He will push you to go on the days you feel lazy and would rather stay at home on the couch. She or He will encourage you and support you. Together you can work towards your goals. Make a competition to see who can run the fastest, lift the heaviest, lose the most inches. Just have fun together! Hire a Personal Trainer! If you don’t have that close buddy that you can invite to the gym with you, then I would suggest that you hire a Personal Trainer. I know they can get pricey and you may be on a tight budget so don’t think you have to always have a PT. You could just hire one to help you create a work out regimen and teach you the fundamentals, and how to use the equipment correctly, etc. Then, when you feel comfortable enough to fly on your own, you can just discontinue their services. Take a class! I go to the YMCA and they offer a variety of cardio and resistance training classes. My favorite classes at the moment are Zumba and Body Vive. Let the internet be your guide! Go to http://www.bodybuilding.com to search for awesome work outs you can emulate on your own. You can also watch people demonstrate how to use the circuit machines/equipment correctly online. Skip the free weights! Until you become comfortable with using free weights, take advantage of the machines that work out indivudual body parts. These machines will actually help protect you more from lifting injuries. MUSIC! Download your favorite “pumped up” tunes to create the perfect playlist, and bring some good quality headphones to help you zone in and drowned out the crowd. Make new friends! Be friendly and engage in conversation with other ladies at the gym. Make friends and schedule your work outs around the same time of day so that you can grow friendships and eventually end up with a new best friend and an awesome gym partner! About 80% of my work outs are with my husband, 10% with my girlfriends, and 10% by myself. Working out with my husband has given me the confidence to work out alone. I know our routines and I know how to use all the equipment if he isn’t able to work out with me. I love working out with my husband don’t get me wrong, but I also really love to just put my loud music on and go, go, go. No talking, just the sound of the music and my heart beating fast. It is a hour away from the reality of whatever is going on that day, it’s just me and the metal! It is GREAT! God wants to be included in all areas of our lives, even working out. He doesn’t want us to ever feel fear or be held back because of it. James 4 tells us that you have not because you ask not. I truly believe that when we let God into ALL areas of our lives this is a free invitation to ask him for help with ANYTHING! Say a little prayer before you go asking him to remove all fear and anxiety from your mind. Mediate on the words of 2 Timothy 1:7 over and over again. You are brave, not afraid. In your weakness you are made strong in Christ. I can’t wait to hear all about your first day at your new gym!! I love the Bible verse!!!! Welcome! I see you’re a fellow Texan!! Speaking of music, AC/DC is some of the greatest music you can work out to. That is cool! I love the Gym! It’s my stress reliever outlet! Now if I could only love cardio as much as weights! Ha Thanks! !